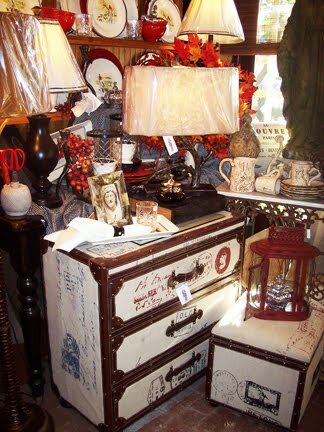 Love these canvas script trunks and ottomans in with wonderful stamping on them and script writing. Leather pulls and trim make them that more interesting! Fall florals are also scattered throught along with our aspen leaves...come by and check it out!